Some fun featured press: a mention on the Shecky's website, where I was featured with some very fine & fabulous fellow bloggers. 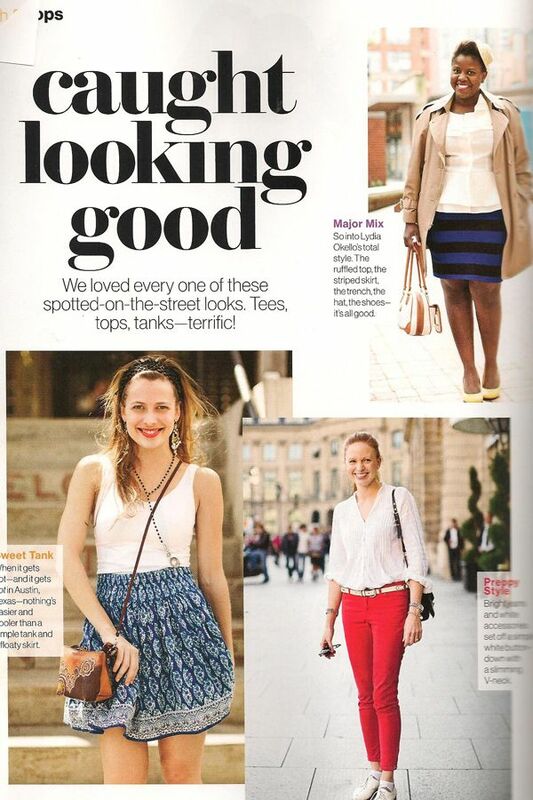 I also had a print feature in the special edition of Glamour Magazine: 1000 Ways To Dress 10 Pounds Thinner. The issue of Glamour is on newstands until November, and I didn't actually know I was in it! I was killing time in the airport on my Norway trip and nearly fell over when I saw myself...pretty hilarious. How awesome is that! You deserve it because girl you look bangin'! Congrats on the features - very well deserved, you always look so fantastic! The outfit is friggin fabulous and you deserve to be in there!